'Shopping For God' tells the story of how religion went from a personal matter to yet another product or service that is advertised, marketed and purchased. Religious marketing used to consist of a sign in front of the church with some clever saying. Today mega churches send e-mails every day. Mega church leaders promote a generalized Christianity, sometimes with not even a cross in evidence. They are designed to appeal to everyone and to offend no one. And they are attracting worshippers who are leaving the mainstream denominations. 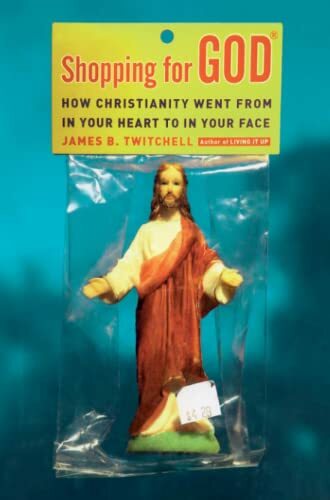 Jim Twitchell examines the phenomenon of religion today, often from the inside, as he travels to traditional churches and mega churches, analyzing their success at attracting new customers and retaining the old ones. He finds that the successful ministers study television instead of condemning it. They adapt rock and hip-hop to Christian themes. The churches that expect to survive better know how to market themselves.